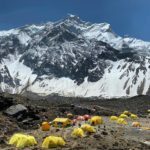 (Newsdesk) Carlos Soria, Tente Lagunilla and their 4 Sherpas are recovering at base camp after two avalanches and extreme weather forced a rapid descent from camp 3 at 6,400 meters altitude, the expedition press team reports. 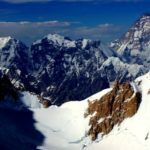 "The first avalanche struck camp 3 during the night and the second reached them in full in the path of descent, just before camp 1, when the climb seemed to get easier." The mountaineers will recoup and hope for a weather window within the next week. 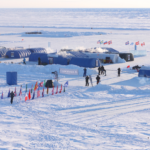 Brazilian Waldemar Niclevicz joined Canadian Don Bowie (Steck is coming for the Everest part) and Spanish Carlos Soria, 73 on the summit push. 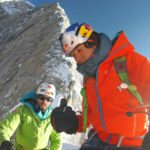 Word is Mexican couple Badia Bonilla and Maurizio Lopez are on the peak and might have joined the push as well. Waldemar planned shoot for the summit on Thursday or Friday, weather allowing. 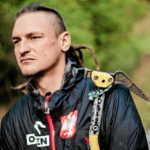 No word yet from the remaining climbers. 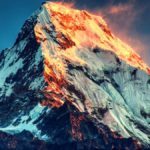 Sixty+ years after becoming the first 8000er ever summited (June 3, 1950, by French Maurice Herzog and Louis Lachenal), Annapurna is notorious for its danger. “Not one of my favorite mountains, I must confess. 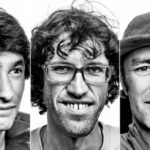 It's dangerous due to avalanche risk on the North Face…” said Iñaki Ochoa de Olza, before losing his life there. “Annapurna is on my mind all the time. It's hard and dangerous,” said Silvio Mondinelli whose friend was hit by falling snow and perished in his arms. Simone Moro was right behind Boukreev who died on Anna in an avalanche although being there in supposedly more stable winter snow conditions. 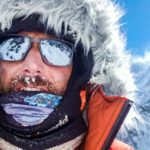 “Annapurna has the most dangerous standard route of all 8000ers,” said Reinhold Messner. The peak has killed mountaineers for 8 years straight, last Mr Park and his buddies and in terms of summits vs fatalities, while the risk level has dropped since 1985 from a near suicidal 91% to about 10% in the past decade, the mountain remains feared for its avalanches. 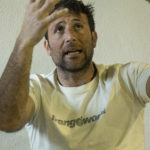 ExWeb interview with Soria; "Not all climbers like to climb"
File image of Carlos Soria after the avalanche. Soria, 73, negotiating the line between camp 2 and 3 on summit push, frustrated by the amount of snow on the mountain. Ascent to camp 3 yesterday.